The newest Magic: the Gathering expansion set, Aether Revolt, has hit the ground running and made a big impact on draft. It also continues the game’s newest trend of printing cards for the Masterpiece Series. Having hit the shelves on January 20th, Aether Revolt, a small set, joined the original Kaladesh set and revitalized that set’s draft format with a wealth of new cards for many strategies, including Winding Constrictor, Ajani Unyielding, Yahenni’s Expertise, Greenbelt Rampager and, most of all, Fatal Push (pictured). Some players and shop staff feel that the Aether Revolt set packs plenty of power for limited and constructed formats alike. “It’s very pushed,” said Emery Powell, a prominent player at Valhalla’s Gate, a game shop in Columbia, MO. He feels that it is Magic: the Gathering‘s most powerful set since New Phyrexia, which hit shelves on May 13th, 2011. The card Fatal Push, in particular, seems geared for Legacy-format play. 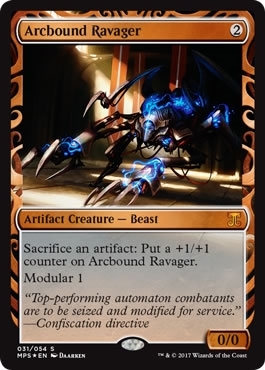 Aether Revolt also contains 24 cards in the Masterpiece Series, printing many modern staples in new, foil card frames with alternate art, such as Wurmcoil Engine, Pithing Needle, Defense Grid and Arcbound Ravager (pictured). These cards appear roughly as rarely as premium foil mythic rare cards and can fetch high prices. Their extreme value, however, has had a two-pronged effect on Aether Revolt‘s overall value. Wizards of the Coast created the Masterpiece Series to encourage more sales of booster packs, drawing in players with the potential for opening a Masterpiece Series card. 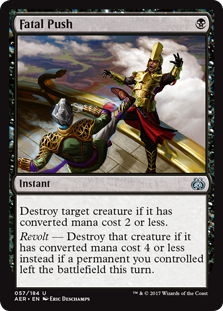 This saturates the market with Aether Revolt cards, lowering the cost of cards required for Standard play. “They’re making people excited about opening packs,” said Powell, who supports Wizards’ decision to increase card availability. Others feel that the Masterpiece Series cards have a negative impact on the rest of Aether Revolt. Jeremy Aaranson, a store associate at Valhalla’s Gate, said that booster boxes of Aether Revolt have an average value of $97 in their cards, compared to Kaladesh‘s $108 average. This is due to players opening a vast quantity of Aether Revolt sealed products and lowering the prices of rare cards in the set. In addition, the Masterpiece Series cards are difficult for stores to sell, Aaranson said, and the cards in the store’s inventory tie up capital. These cards can be sold online, but often at lower prices to keep up with lots of competition in the online market. 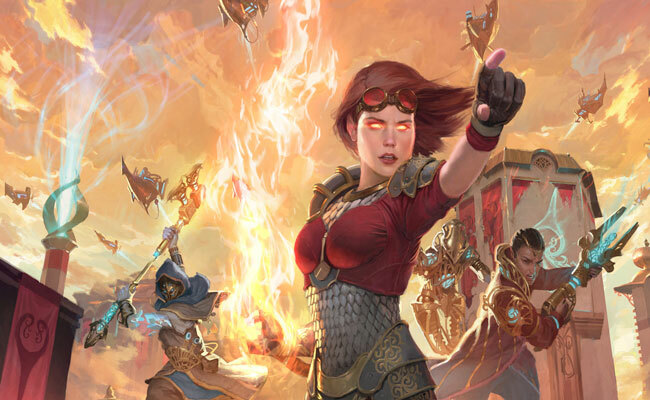 Emery Powell, Jeremy Aaranson, and Kyle Schoenhals all believe that the Aether Revolt set will continue to be popular with players, and that it will sell out and revitalize interest in the Standard format. Powell says that with Aether Revolt‘s accessible card prices, combined with the future Amonkhet block, which will have a similar Masterpiece Series, will together make Standard very affordable for many players, and potentially set this trend for years to come.